Sam Claflin recently stopped by EXTRA to talk about his newly released film, The Quiet Ones during his time he also gave a tight lipped update on Mockingjay. Vulture has a great new interview with Natalie Dormer! They talked briefly about the similarities between Lady Margaery in Game of Thrones and Cressida in Mockingjay. Since Margaery plays a war of words, did that help you find common ground, to play Cressida, the propaganda filmmaker fromMockingjay? You know, that’s an interesting point. Cressida is employed by the rebellion in this modern capacity that we would recognize as PR and propaganda, winning over hearts and minds in the civil war. And yeah, what Margaery does is modern PR-stunting. So yes, there would be a similarity between the two characters, that they are astute at media manipulation. But that would probably be the only similarity. [Laughs.] Margaery is not running around with a semi-automatic rifle and army boots! Which I actually quite enjoyed. There was this great scene in episode one this season between Margaery and Brienne, and they talked about the difference between fighting with words and fighting with weaponry, and a woman’s lot in Westeros, as it were, but unfortunately a lot of that scene got cut. Maybe it’ll end up on the extra features on the DVD. Last week, Natalie Dormer, stopped by Late Night With Seth Myers, and during her visit she talked about Game of Thrones her experiences training for Mockingjay and her Cressida hairstyle. While promoting The Quiet Ones, Sam Claflin spoke briefly to MTV about work on Mockingjay, his first time working with Liam Hemsworth, all the “newbies” on set (including Stef Dawson) and the realization that this journey is almost at its end. “I’m like bursting at the seams but I’m going to have to keep quiet,” he said. Claflin, who plays the roguish Finnick, has bonded with his castmates and says that “people are realizing that things are coming to an end,” so this is their last chance to goof off and crack up their friends on set. “It’s been very tough, especially with the things that we’ve been shooting recently that are a little more serious,” he said. Natalie Dormer has been making the rounds to promote Game of Thrones and lucky for us, conversation turns to her character in Mockingjay. We could seriously just listen to Sam talk all day…heck we could listen to him read the phone book and we’d be enthralled…though we have to admit the Mockingjay talk is a definite bonus. Ha! This is hilarious! In this MTV After Hours video, Sam Claflin shows us he is a true “master of fear”. Totally right?! 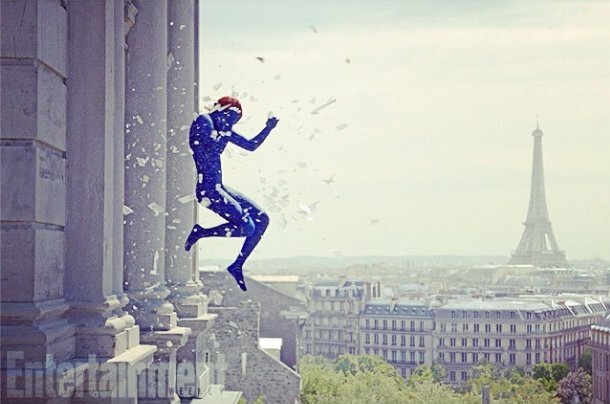 ‘X-Men: Days of Future Past” Round-Up: Final Trailer, Stills, & More! 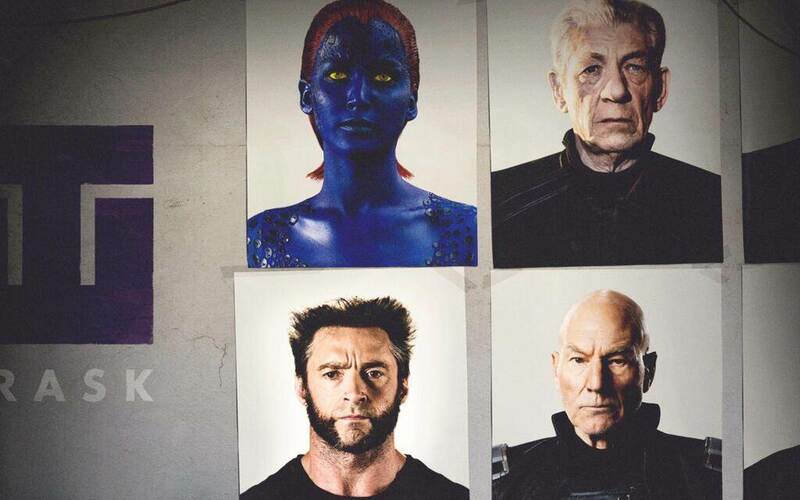 Lots of promo is being released for X-Men: Days of Future Past which releases in theaters on May 23rd. Jennifer is featured a lot in the final trailer and I love it! Finally, Empire is reporting that a X-Men: Days of Future Past sneak peek will play after the end credits of The Amazing Spider-Man 2. The scene featured sees Jennifer Lawrence’s Mystique, Lucas Till’s Havok and Evan Jonigkeit’s Toad taking on William Stryker (Josh Helman) and his military men. Without wishing to spoil anything, let’s just say that Mystique once again demonstrates her formidable fighting skills in the brief segment. Presumably there have been significant negotiations leading to this point, and the comic nerd in all of us hopes that someone said, over coffee during a break in the meeting, “Hey, how about we get these crazy kids together properly?” At the very least, this could lead to, next time, content being filmed expressly for this sort of crossover activity. This just gives me even more motivation to go watch The Amazing Spider-Man 2! I’m so excited for both movies! ‘The Quiet Ones’ Round-Up: New Trailer, Stills & More! For more info on The Quiet Ones, check out The Quiet Ones Facebook Page and Lionsgate Horror Twitter Page!